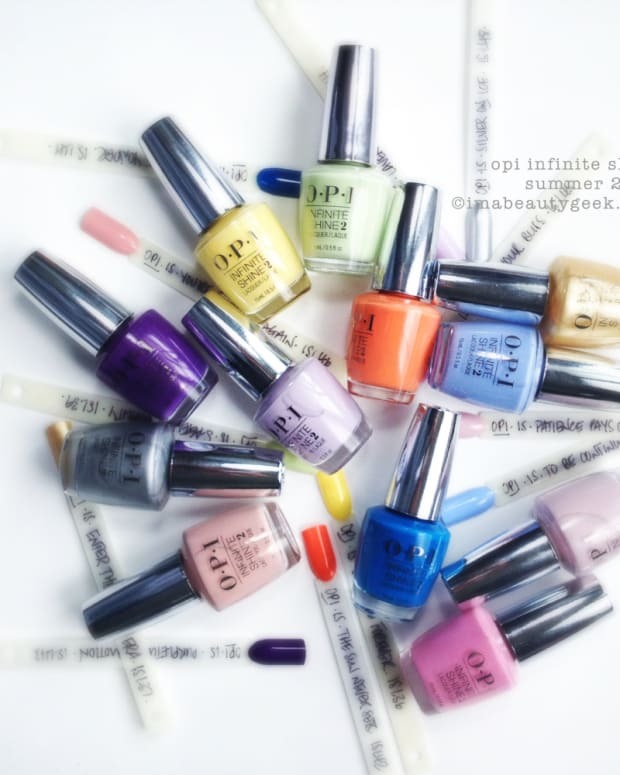 I gush a lot about OPI, it’s true. You know why? It’s because OPI continually makes lacquer products that impress me and make me smile. Here, lemme show you what they’ve done this time. Hint: OPI top coats are tops. This is what I’m playing with today. 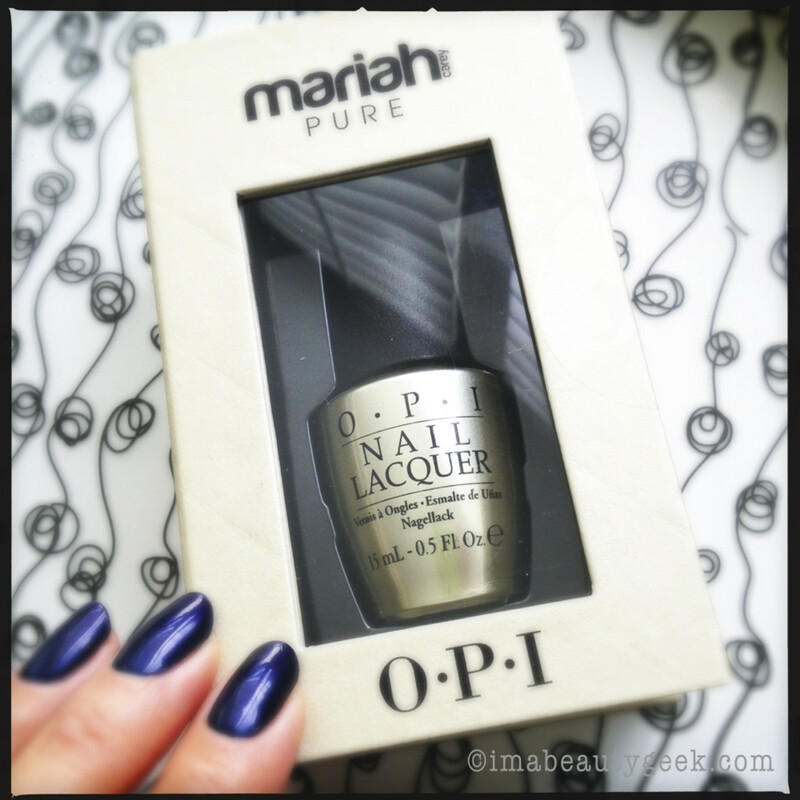 I’ve got my fingers in this here new Limited Edition Mariah Carey 18K White Gold & Silver Leaf Topcoat. And I’ve also got this brilliant new gift set called Top This! 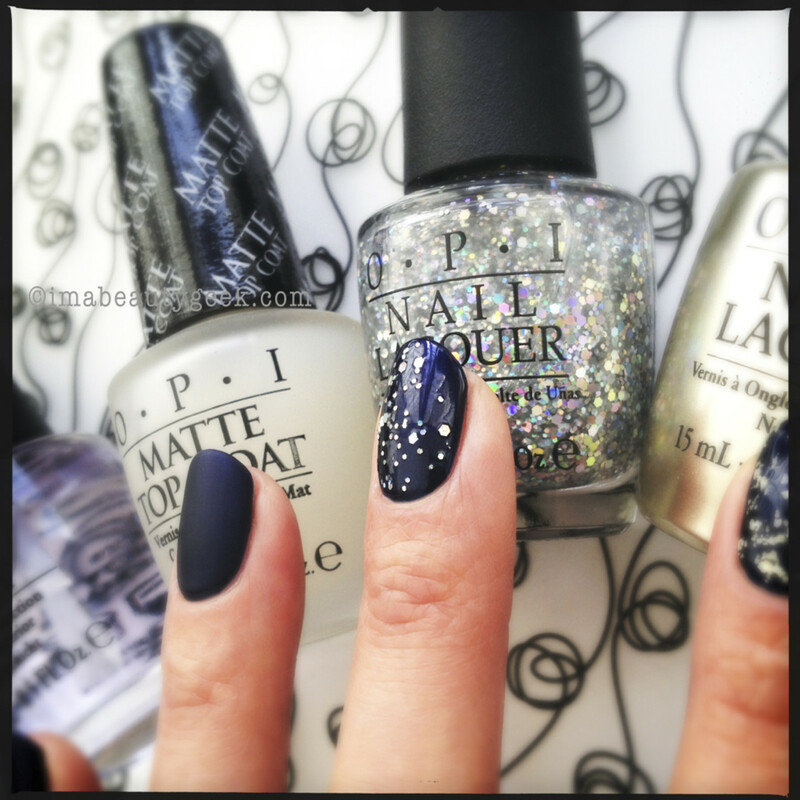 First I whipped out an old favourite – it’s OPI Russian Navy. 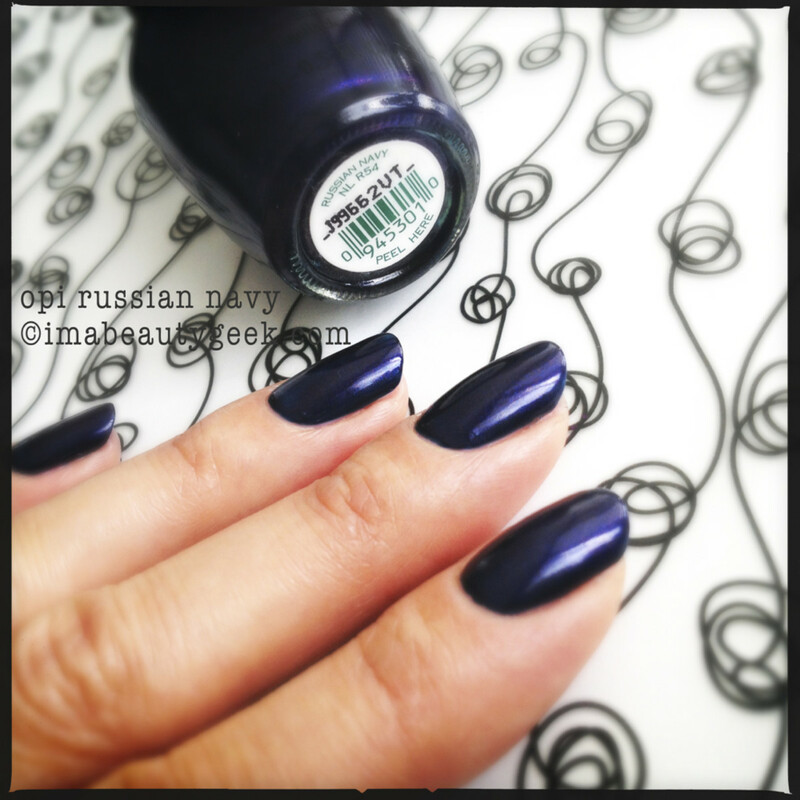 Who doesn’t love Russian Navy? It’s one of those shades I’ve had for years and I keep going back to it over and over and over. For this post, in the interest of not overloading you with images, I used Russian Navy as a base and painted each nail with a different top so you could get a sense of all of it at once. My little finger I reserved for OPI Top Coat – boy-o-boy it’s shiny! 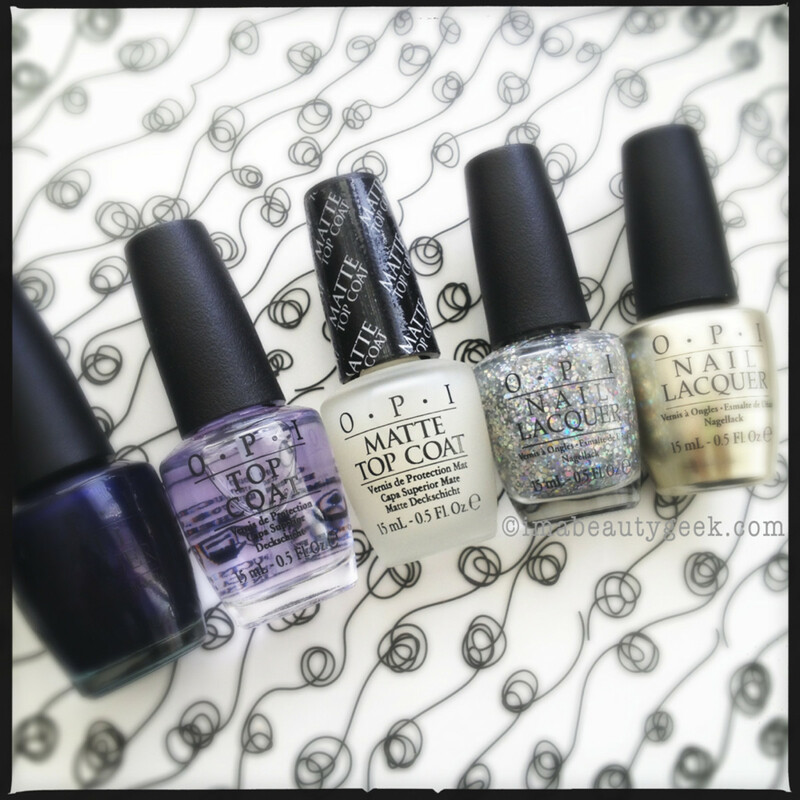 My ring finger received the OPI Matte Top Coat – I love it. 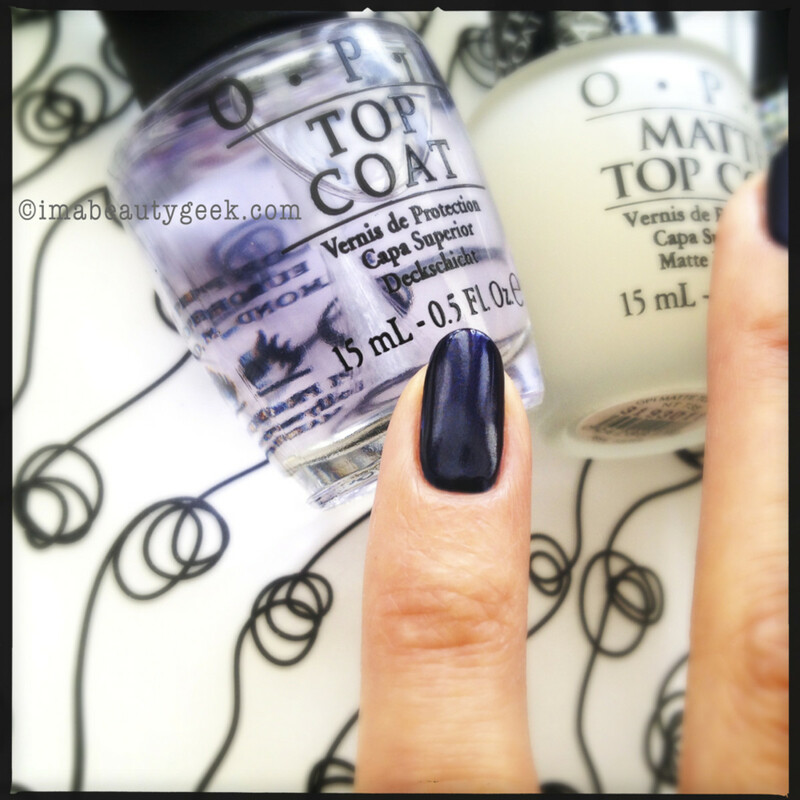 OPI makes Russian Navy in a matte finish too but I’ve always found matte finish polishes to be tricky to work with – you have to be so fast and so precise that I’d much rather use the regular polish and finish with the Matte Top Coat. Look at it – it’s marvelous! Middle finger got decked out with OPI Snowflakes in the Air. 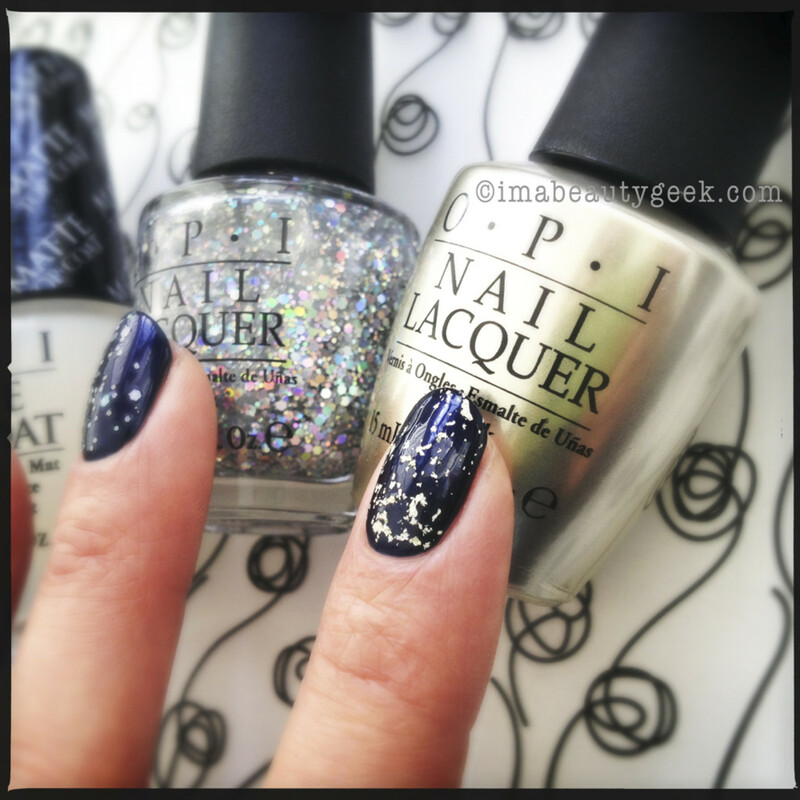 This stuff is a new glitter OPI top coat that is only sold in the OPI Top This! trio. If you wanted to, you could probably just go nuts and do two or three coats of Snowflakes in the Air by itself. 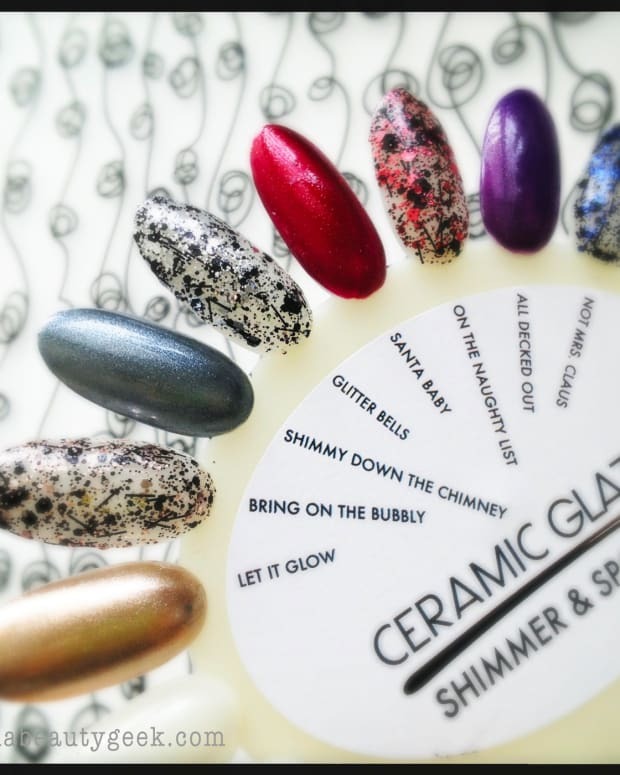 If you’re like me and are a little more restrained with glitter, you can use this over pretty much any polish. And finally, on my index finger, I used the new Limited Edition Mariah Carey 18k White Gold & Silver Leaf Top Coat. I was pretty sure I wasn’t going to like it but I was SO very wrong. That’s one coat of the stuff, by the way. I find I really, really like the speckled-egg sort of finish. The stuff glides on smooth and the finish doesn’t leave bumps like glitter coat does – it levels absolutely beautifully. As an added bonus, it’s insanely glossy. I tell ya what else is great about it; there’s something about having 18K gold on your nails that makes you feel blinged out in an uber-extravagant sort of way. Yes, gimmie that. If you’re a polish nut, you might want to consider putting these top coat treats on your holiday wish list this year. If you’re a polish nut, you might also want to consider not waiting until Christmas and just going out and spoiling yourself rotten by buying them for yourself. These flawless finishes are available for a limited time at professional salons, spas, and of course, at Amazon.com. 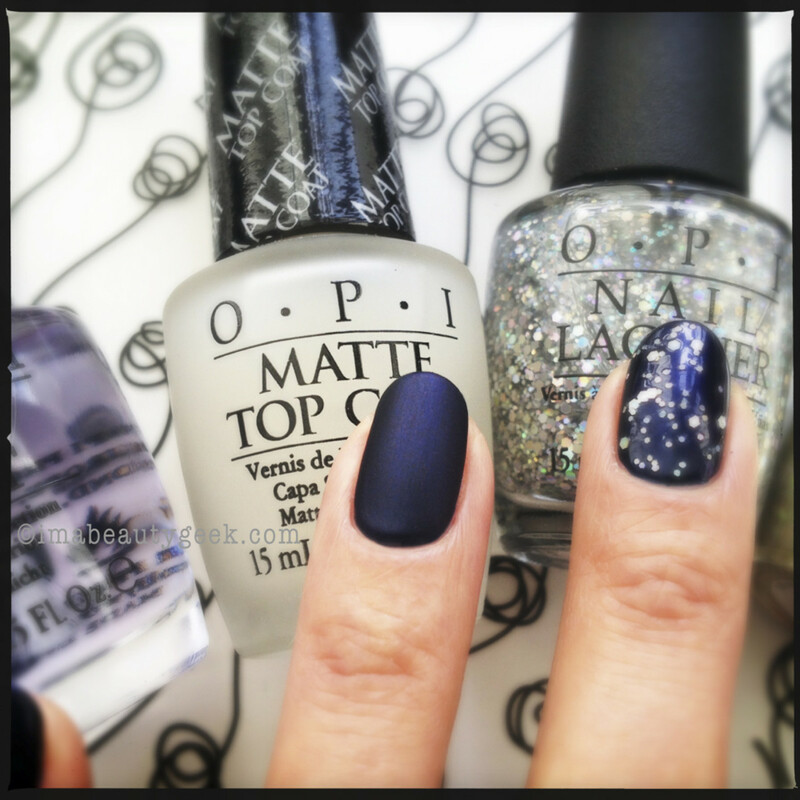 OPI Top This! 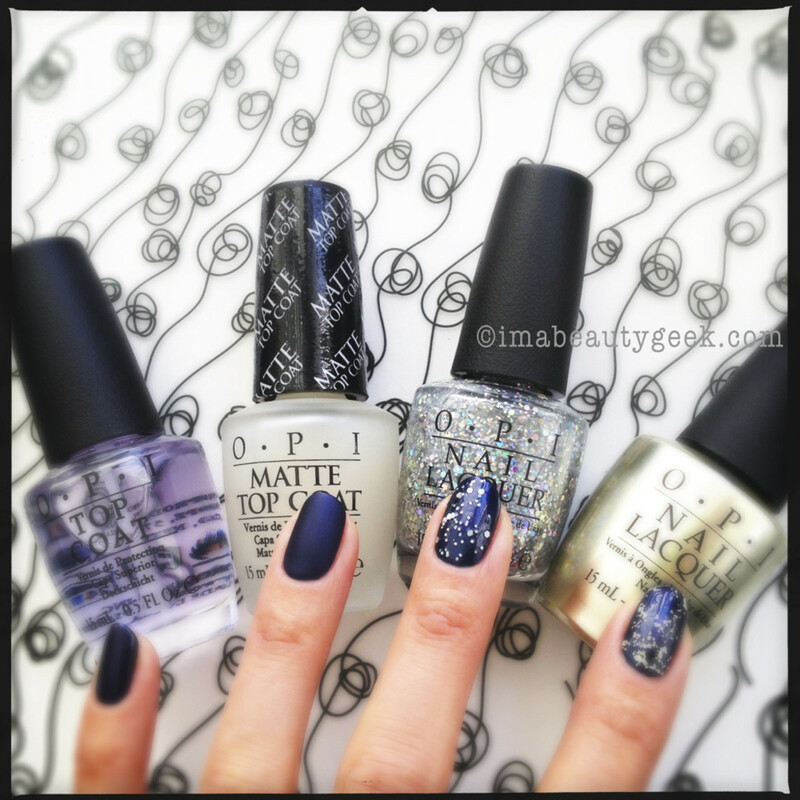 gift set, $32.85; OPI Pure 18K White Gold & Silver Top Coat, $37.50.